Newcastle has a boom and bust history and nowhere is the boom of the 19th century more apparent than in its city centre, Grainger Town. 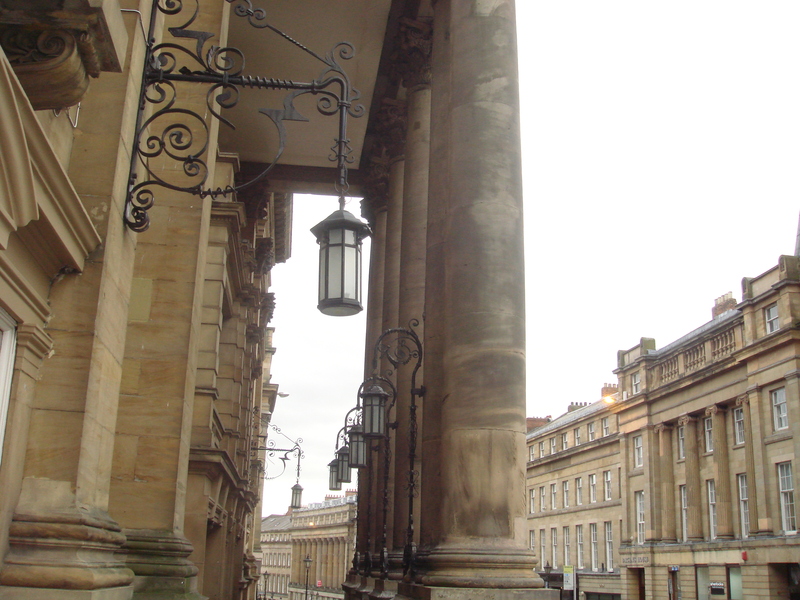 Having made their fortunes in coal and shipping and having earned Newcastle a place of prominence on the British as well as the world stage, the city fathers of the time were inspired to build a new Newcastle, to reflect their golden age of wealth and power. As their model, they chose ancient Rome in its golden age and appointed the architect Richard Grainger to realise their dream. When finished in 1842, the area was described as the city of palaces. 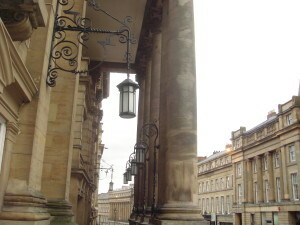 Recently regenerated, it is a precinct of elegant Victorian and Georgian neo-classical buildings which now house cafes and restaurants and offer fantastic shopping. It includes the splendid Central Railway Station, with its monument to George Stephenson, the Novacastrian who invented the steam locomotive. Grey Street, the city’s “main” street remembers Earl Grey, a name which resonates with tea-drinkers the world over. The focal point of the area is Grey’s monument, at the top of the street, which features the great teaman himself and was built to commemorate the Reform Act of 1832, drafted when Grey was Prime Minister. Running off Grey Street is the Central Arcade which, with its triple domed glass and steel ceiling and tiled walls, is reminiscent of those beautiful, 19th century Parisian “galeries”. It was built in 1840 for Richard Grainger and is believed to the work of the architect John Wardle. 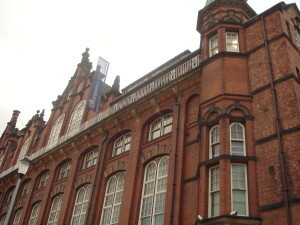 It was originally a commercial exchange, then later a newsroom later still an Art Gallery. 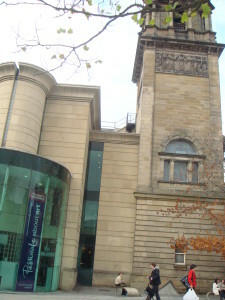 It was rebuilt in 1906 after a fire and today houses a number of retail outlets, a Starbucks café and the Newcastle Tourist Information Centre. To walk in Grainger Town is to walk in another world, a world which is a monument to wealth, power, vision and beauty, a world which has carefully preserved the past, brilliantly harnessed the present and judiciously keeps a window open to the future.